Members of the Hoshigaki Clan are perhaps most known for their shark-like appearance. The body completely changes to accommodate the differences in the body. The first and most noticeable thing about the transition is the color of the skin. Members of the Hoshigaki Clan have skin that ranges from soft blue in color to a dark gray, dependent upon the type of shark that they are related to. Beyond that, the body also changes to take on a slimmer shape. A large amount of skin and muscle tissue becomes replaced with cartilage, making them odd to the touch. Any distinct physical markers of the shark remain. At the neck, two lines of gills can be seen at the front, giving them the ability to breath underwater. The Hoshigaki's body is usually more bulky than the average, but from the appearance of tough muscle. Also very noticeable quite quickly is the increased rows of very sharp, fine teeth. The eyes are also a little more circular than the average person's, and they have a more defined nose. Nowadays, it is not uncommon to see a plethora of those of the Shark Clan, the Hoshigaki, all the way around Mizu no Kuni. Their strength and battle ability are well renowned, and many fear them just as many respect them. Their brash and powerful natures often make others wary of them, but they view this as a good thing and now instead focus on simply making the best out of all their lives. 1. Members of this clan must be Taijutsu Primary or JOAT.2. Hoshigaki's first release must be Suiton (Water).3. Hoshigaki are incapable of learning Katon (Fire) and Raiton (Lightning). The Hoshigaki Clan are very much used to fighting underwater, and in fact feel at home in it. This is why their whole fighting style is based upon flooding the field and then forcing the opponent to fight underwater, where the user will have the advantage. Because of their constant fighting underwater, they've learned how to move and manipulate their own bodies while submerged, making them terribly difficult opponents to match when they're in their element. This ability, once learned, allows the user to fight with grace and ease underwater, to the very point that it seems like they were fighting naturally above it. Note: This allows the user to move at x2 the speed of your average shinobi (as if they were on ground), greatly increasing their mobility while underwater. While sharks are known for their ability to locate injured prey by smelling blood, it is not the only tracking sense available to them. Small nodes scattered under the facial skin of the Hoshigaki, when supplied with chakra, are capable of sensing bioelectrical signals sent out by all living beings. This ability is particularly helpful in murky water and at night. Because the earth has a magnetic field, the Hoshigaki are able to sense this and determine what direction to swim in while under water, just like their shark counterparts.Note: Can only be used in a body of water, and can only sense the electrical fields of animals in that water up to a distance of 25 meters. Larger animals will have larger bioelectric fields, but otherwise there is no way to tell what is causing the field without seeing it. When used for directional purposes, the Hoshigaki is able to discern what direction is north and plan accordingly. 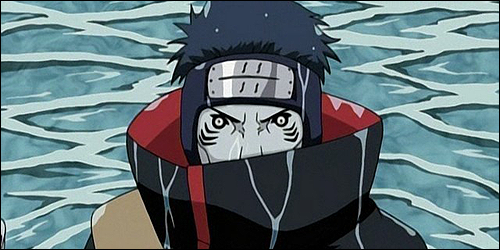 After injuring an opponent, the Hoshigaki will generally try to force an underwater fight by flooding the field or trapping someone with some other water-based techniques. By doing this, the user is capable of using their sense of smell to track the scent of the blood of the opponent, making it much more difficult to hide from them. Note: Though this technique is based in water, it can be used without it present. The maximum range for a target in water is one mile, while the maximum range for targets out of water is fifty meters. The Hoshigaki clan is known for possessing the traits of sharks, including a skeleton made of cartilage. Cartilage is both flexible and durable, and is capable of absorbing force better than bone. Sharks also have special scales called dermal denticles that act like an outer skeleton, making the skin rough to the touch and solid.By funneling a small amount of chakra into their skeleton and skin, the durability of both is greatly increased. The double layer of protection allows them to withstand large amounts of force from physical attacks, and has the added advantage of being so rough as to cut any flesh that comes in contact with it while in this super-durable state. A fist that makes contact with the Hoshigaki's skin would come away with small cuts across the knuckles, and so on.Note: While active, Nankotsu-sei No reduces the damage from physical attacks by half. This does not include any slash or pierce attacks, like with a sword or spear, only punches, kicks, etc. Direct flesh-to-flesh contact with the Hoshigaki's skin will also cause minor cuts at this time. Nothing is quite as frightening as a shark who has entered a frenzy. When the shark becomes enraged or maddened, it enters a state of mind that effectively forces the creature to become nerve-dead. During this time, they cannot feel any pain, and are capable of fighting with the intense need for survival. This survival mechanism allows the clan member to fight with a truly unprecedented sense of ferocity. After the frenzy, the user will become exhausted, reducing his or her ability to fight dramatically. Note: Initiating this technique allows the user to enter a sort of 'berserk' status each time they land a strike (drawing blood) on their victim(s). These self-induced frenzy dramatically increases their strength, speed, agility, and endurance by 100% each strike for a maximum of 400%. Each increase slowly begins to deteriorate the user’s cognitive process, so that on the final strike (the one giving 400%) the user can no longer distinguish friend from foe. This technique cannot be deactivated once cast. While in the completed frenzy state, the use of any form of ninjutsu, genjutsu, and fuuinjutsu are prohibited. Furthermore, while in this frenzied state, the user’s pain receptors have been augmented to a profound degree; the user will feel no pain, no matter the severity (torn off limb; eviscerated, etc). This strength buff can only be stacked with Same no Rykoku. Yet another fierce factor regarding sharks is their monstrous strength, represented in this passive ability that greatly increases the clan member's brute strength (x3 that of your average shinobi). With the shark DNA sprouting within, the clan member's muscles have become greatly enhanced and are capable of performing much greater actions of lifting and overpowering the opponent. 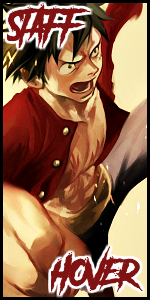 Note: This technique does not stack with other strength increases, such as the Eight Celestial Gates.